We didn’t know exactly what to expect on our way to Queens, NY for the 2011 World Maker Faire NY, but we did knew that it was going to be awesome! 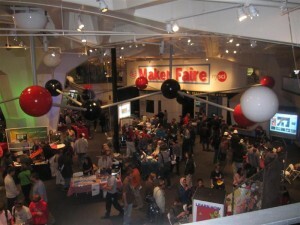 We had spent some time on the Maker Faire website, which is chock full of videos of people making all sorts of things. 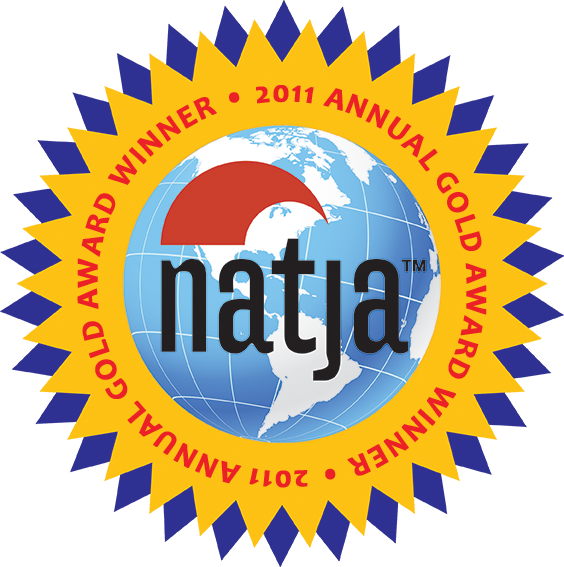 The emphasis is on science and technology, and the flashy gadgetry drew in Matt and The Boy like moths to flame. As the world’s largest DIY festival, it’s a celebration of making “stuff” with your bare hands, with an emphasis on inventing entirely new stuff, or finding a better way to create the stuff already out there! The World Maker Faire is an annual event in NYC, and we didn’t want to miss our opportunity to check it out. A cycle of smaller regional Maker Faires around the country begins in the spring and runs through the fall. Several are still to come in various cities through October, so check the website for dates in Phoenix, AZ; East Bay, CA; and Pittsburgh, PA. Next year, they will hopefully return to cities like Toronto, Detroit, Kansas City, and Raleigh/Durham. Maker Faire is like a school science fair on steroids, with over 500 exhibits in themed areas, such as robotics, “hackerspaces,” steampunk, art and crafts, and sustainability. 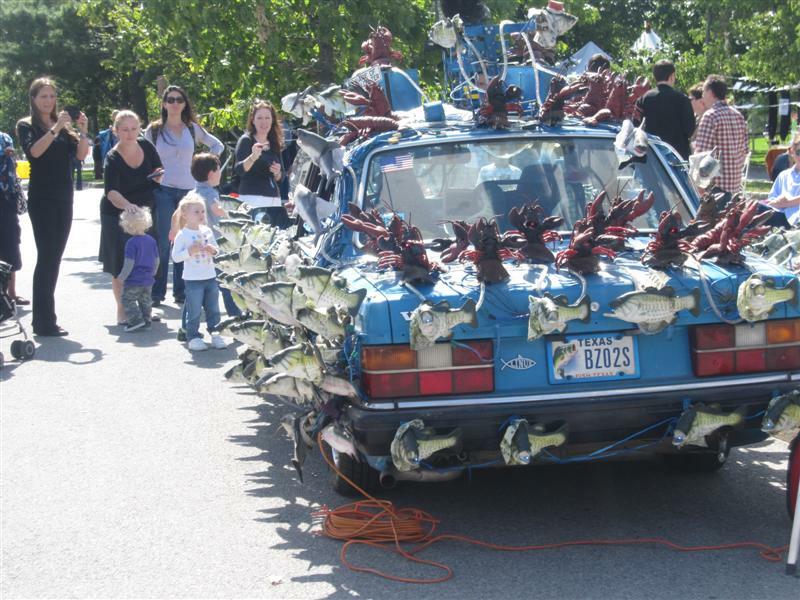 They ranged in scope from the earnest 12-year old explaining the house sensor system he built and programmed himself, to the wildly fun Sashimi Tabernacle Choir, a Volvo covered with 250 opera-singing fish and lobster (you know the kind you normally find hanging on the wall affixed to a wood plaque?). There were robots of every size, shape, and purpose, including several places to build your own. The “Young Makers” pavilion catered to the school-age set, and The Boy closed in on the LEGO table like a homing pigeon. There’s a heavy “green” message here too. At one table, the kids made art out of reused CD cases, weaving fabric bits through rubber bands encircling them. I wasn’t sure if The Girl would be as entertained as her older brother. 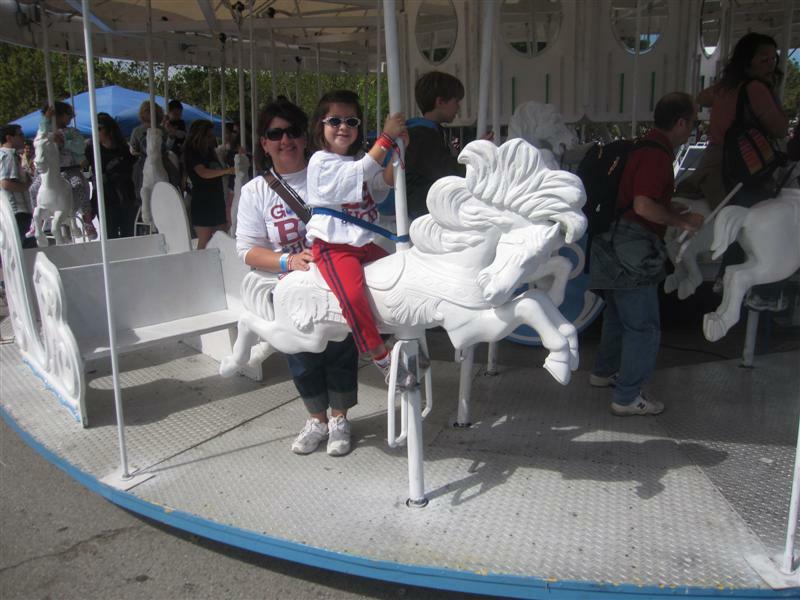 But she was totally on board from the moment we set foot on the GE Carousolar, the world’s only solar-powered carousel. 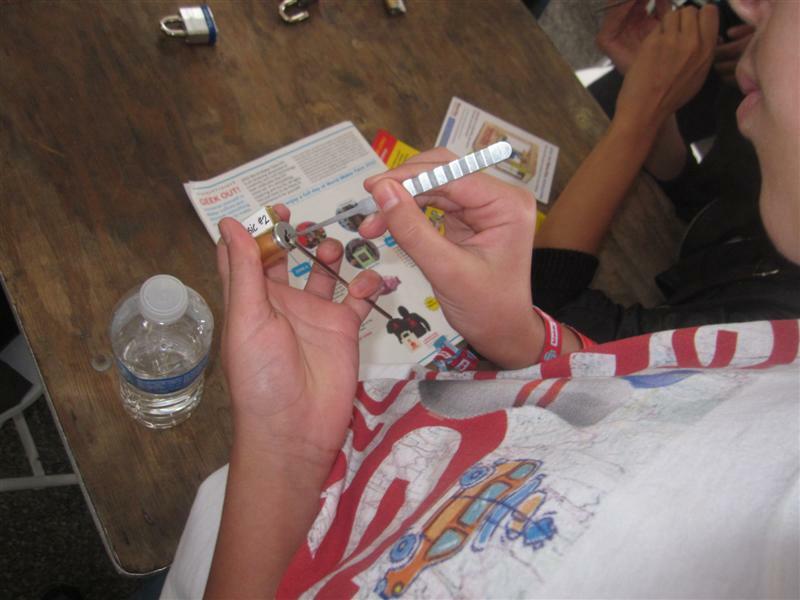 We also climbed aboard the Bio Bus – a traveling mobile science lab – for a quick hands-on presentation about microscopes. We spent some time at the CLIF bar tent, snaring some free samples and making a hat out of recycled packaging and LOTS of stickers. She's never met a carousel she didn't like! 9!!! Maker Faire was a treat for all our senses! At once entertaining, educational, inspiring and awe-inspiring! I can’t wait to go again next year. The only drawback was the lack of food vendors for the size of the event. The vendors who were there were very good – several ethnic food trucks – but the lines were mercilessly long.